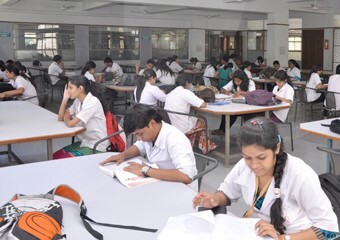 The College has a modern library with world class interior, with the intention of creating excellent library atmosphere, ambiance, which is well equipped with a large number of books and various national and international journals. Presently the library has an adequate number of text and reference books on various subjects and is a subscriber to 72 journals (Foreign). 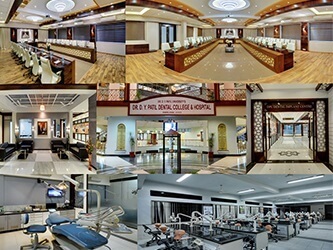 There are two large separate Reading halls wherein the students and teachers can study throughout the day without any disturbance. The reading room facility is available to the students from 8 a.m. to 11 p.m. on working days from 8 a.m. to 6 p.m. on Sundays and Holidays. 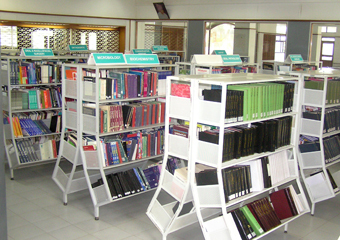 Besides above, there is a facility for home lending of books to students. The College has also made provision for needy students by instituting a book banks scheme. 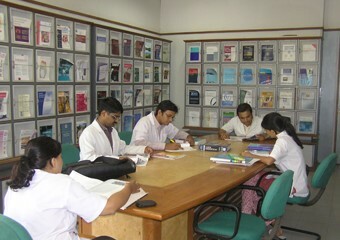 An important feature of the library is the presence of INTERNET facility, which provides immediate access to the latest developments in the world of medicine, at the touch of a button. Thus, our library is Crown and Glory of the College. 4	 Journal of Plastic & Reconstructive Surgery	 L.W.W. 4 Journal of Periodontology A.P.P.